Another Woo Slinger trademark is the constant appeals to "But I know what I saw!" As has already been pointed out this is a bad position. Evidence, logic, and reason sometimes have to override personal experience. Now let us be very, very, very clear here. Pointing out that one's memory and perception can sometimes be faulty is not saying the person is lying, stupid, or crazy. Allow me to relate a story. Many years ago I worked an ungodly swing shift onboard an aircraft carrier stationed out of Virginia. One dark, dreary early winter morning I drove to work in the wee hours of the dark, parked my car, and headed toward the ship. After taking a few steps something ran from under a nearby parked car and into some nearby brush. Now here's what I literally saw within my own perceptions. I saw a small bipedal figure run in a very humanoid like gate from under the car. I'm a rational adult. I'm mentally sound. I don't do drugs or had recently used alcohol or prescription medication. I have fine eyesight when wearing corrective lenses, which I was at the time. I've actually literally had training on how to recognize a human figure moving against a background. The distance was no more then a few dozen meters and I saw what I saw for several seconds. Option 1: I literally saw a tiny humanoid creature. Option 2: A sailor walking to his ship spooked one of the of multitude of birds, feral cats or big rats that live on the base and when he looked at it some trick of light and shadow made him see something that wasn't there. So which is more likely? That a species of gnome somehow lives but has escaped detection on one of the largest and busiest military facilities in the world or that a weary sailor had a brain fart? Last edited by JoeMorgue; 5th August 2014 at 10:55 PM. The way things implode is the pieces go in toward the center then hit things in the center and fly out. Ever read how a supernova implodes? Of all the things you described, this one is the easiest to explain. The fact you don't accept the explanation on this one speaks volumes. Er, she did accept the explanation, a few posts higher than yours. I wondered about the electrician, he may have meant that it was a defective bulb and I just didn't understand what he was saying. I think someone further up said that the mechanism for the struts can wear out, that with the added weight could have caused the flopping trunk lid. I was writing an e-mail, it was quiet, I heard the scraping noise and looked up to the see the tissue being completely drawn back into the box first one side, then the other. I remember it very clearly. No, it was cold, the window was closed. I can't see a door frame adjusting itself that much without me hearing something like a creak, popping noise, the door scraping the jam as it closed, or that soft thump sound you sometimes hear when a door closes. All of those noises could be covered or mixed with the sound of running water in the sink, and evade your notice. Everything being finely balanced, you had to stand at the right spot by the sink first to gently (and slowly) cause the very slight sinking of the floor needed to release the corner of the door enough for it to then gently swing the short distance to contact the door frame. The slight jar as it did so caused the hook to drop into place, just as you turned off the tap. As unlikely as all that may seem, it's all easily believable, and much weirder things have happened which still fall under normal physics. And it's all virtually infinitely more likely than that there is some new unknown force at work. See the link I provided earlier to the thread with Sean Carroll's video. Once you absorb the message of that video, quibbling and pondering over these incidents will seem as worthwhile and meaningful as discussing a soap opera. So it might have only needed a little more effort to successfully close. Standing by the sink, the tilt and warp of the floor caused by your new position in the room released the door from the slight mound where you had left it wedged, and it fell closed and the slight bump caused the hook to fall down to latch the door. An excellent and very plausible hypothesis. I've seen something very similar with our back gate which sticks slightly on a bump in the ground just before closure. Swung it shut one day and it didn't quite make it then saw it was shut a few minutes later. Slightly spooked until I realised what had happened - kids had just run past so plenty of vibration. Have also heard plenty of internal doors click properly closed when you walk on the floorboards near them. Always amazes me how people think 'can't immediately explain = supernatural'. Mother-in-Law left the house (empty) locked the door and posted the keys through the letterbox. Postman called sometime later and posted a small parcel through the letterbox. Family returned, opened the door and the keys were on top of the parcel. I'm pleased to say that no-one blamed poltergeists but they were intrigued and challenged me to explain it when I got home. Which I did in minutes - to everyone's satisfaction - especially when I gave a practical demo. Here is the next odd incident. I was helping my 76 year old aunt take care of my 90+ year old grandmother with dementia. My grandmother's partial went missing, we assumed she had misplaced it somewhere and that we would eventually find it. A few days later I was getting my grandmother ready for bed and turned the light on in the room. The light had a flush mount fixture. I happened to glance up and see a U-shaped shadow outlined on the glass shade. The most obvious answer is someone playing a practical joke. Got any nephews that may be aware of your catalogue of "unexplained mysterious incidents"? Or perhaps someone with dementia may forget they are too old to climb on a chair and stash their gold teeth in a special glass box on the ceiling, and then forget all about it? See, all this back and forth with trickles of information is at best a sort of game. It's impossible to really solve anything. But there always is a mundane "explanation". You sound like you are being sarcastic, but I have a true story. 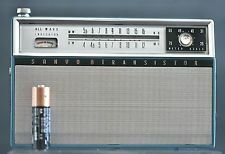 My boyfriend and I were in the living room of our house when the portable radio came on in the kitchen. No one was in the kitchen and we were both there, it wasn't me forgetting the radio was on. I have no idea how it came on, it did not have any remote control capacity or I would ascribe it to a random signal. I'd seriously love to know what part of my post came across as sarcastic. Do you set out to be deliberately antagonistic? I'm not sure I understand what the point of an exercise like this is. First, is the OP looking for actual answers or just challenging us to an impossible task? Second we know our brains play all sorts of tricks on us, don't perceive things as well as we think they do, and our memory is notoriously horrible and rewritable. Speculation on the minutiae of a moment that might possibly explain what happened without as one poster pointed out, silly. There's always a rational explanation. I had two experiences that would be hard to explain, one took me a few minutes to figure out, another took me over a decade. In the first, a roommate and I were standing in doorways across the hall from each other in our apartment. Underneath our carpeting was a plastic sheet so you could always hear someone walking around. While we stood there we heard 'steps' pass between us and down the hall. It only took me a few minutes to figure out the carpet was essentially settling back into place or relaxing after one of us walked down the hall. The second involved me waking up one night and feeling a powerful feeling of oppression in the room. I looked in the corner and saw something I could only describe as the grim reaper. I couldn't explain it, but I 'knew' what I experienced. Later I discovered Hypnogogia and sleep paralysis which describe what I experienced perfectly. I think if the OP really wants answers she'll find them. I suspect like many people I know, it's more 'fun' to live in a fantasy world. It's a possibility if I hadn't been watching the door, however it was in my sight as I walked to the left to use the sink. It closed after I turned away to use the sink. Wouldn't it have shifted when I stood up? So you weren't watching the door. And no, it all depends on where the supports are and how the thing was constructed and how the thing has settled over time. As has been pointed out, it doesn't take much to move a door from "sticking" to "unstuck". The point is that leaping to something supernatural is not really rational in these cases. And playing the sad "But what could it be..." JAQing off game isn't any better. For Skeptic Ginger's radio I would favor the following. The radio was actually on, but some intermittent component had failed and silenced it. Then that component starting working again and the sound came on. There's a radio in one of our work trucks that you cannot turn OFF. You turn it off with a rotating knob and a few seconds later it turns itself back on. All you can do is choose a station you more or less want to listen to. I've always assumed that the old, dusty truck has a gummed-up knob and some spring or gunk inside causes it to rotate back to a particular position even when it's been cranked to the 'off' position. You can watch the little knob turn itself back to the right after you turn it to the left. I admit that is one explanation I'd not heard or thought of. Leaving the kettle on just sounded like something one would accidentally do then blame the poltergeists. Nothing personal. We have a radio very much like that in the kitchen, and it has a couple of switches that occasionally blip off and back on. If you have something like this and tend to leave it at one setting all the time, there are a lot of possibilities for something getting dirty or corroded. It is also possible, if this was an FM radio, many of which have some form of muting, that the tuning drifted off, or the signal dropped off, just enough to activate the muting, and then drifted back or strengthened just enough to unmute it again. This is actually pretty common, especially with a radio that is not retuned often, but also on any radio whose antenna is subject to variation in signal. FM tuners with AFC, a common feature, will tend to keep their signal moderately cleanly as it drifts, and then lose it all at once. Our kitchen radio does this from time to time when it has drifted a bit. It is not fully muted, but the interstation hiss is audible only if you're listening for it. Another one I have at a lake house, with a poor antenna, mutes intermittently depending on where people are in the room. The kettle was off. The clue is in this quote from my original post. Are you offended I didn't know if you were being sarcastic? Because I don't get why you would be. But getting back to your story, leaving it on accidentally is one possibility. Some of the explanations for my radio switching on might also apply to an electric kettle. Last edited by Skeptic Ginger; 6th August 2014 at 12:44 PM. The farther into this thread we get, the more upset i am at myself for offering any sort of rational explanation for any of this. The real answer is: Weird things happen, memories are corrupted, and we don't have the information to explain them. It's a long, long way from saying "not enough info" to "this disproves everything we've ever thought about the universe." 1. Keys got hung up on the inside of the letterbox and were unstuck by the parcel passing over them. Parcel landed first with keys on top. 2. Keys bounced as parcel hit the floor, landing on top of parcel. I completely disagree, considering several potential explanations for the OPs and other events have been accepted as likely after discussion. This is not actually a thread where every suggested explanation is countered then discarded. This past summer I worked in a truck that had a radio that randomly just turned itself up. No explanation for it, I'd have it down low, enough so I could hear it then all of a sudden it would start getting louder and louder. I'm positive it's an electrical or mechanical issue but I have no actual explanation for it. You keep writing the words "leaving it on" what do you mean by this? To me leaving it on would mean that it was plugged in and switched on and boiling. The kettle was plugged in, on at the plug but off at the switch at the kettle. That means off as in not on, not boiling, hadn't been previously boiled in at a least an hour or so, cold, not hot. I heard it starting to boil from previously not being switched on at the kettle and having been cold and not boiled for at least an hour previously. It reached the point whereby it automatically switched off again. Nothing was in the kitchen nor near it when it switched ON from previously being in a state of OFF (apart from it being plugged in at the mains). I did not leave the bloody thing on for Christ's sake! I'm sorry I even related the story now as I could not give a flying **** about any possible explanation other than it was clearly a one off electrical issue. Last edited by bluesjnr; 7th August 2014 at 04:35 AM. Good shouts. Hadn't thought of 1. but 2. was one of their starting theories. I discounted 2. because the key plus large fob was relatively dense compared to the parcel which was wide and flat (comic in a card backed envelope). It's perhaps a bit unfair that I didn't give that information. Actual solution (well as near as I can be certain and we managed to recreate it exactly) is that the key dropped immediately to the floor (eased through and dropped) whereas the wide, flat parcel landed just beyond the keys. Opening the door pushed the keys onto the parcel. Ta da! Squirrel or rat. I have a thread titled "A Big Rat Stole My Teeth". I still haven't found them, but he was kind enough to leave rat turds as evidence. And upon relating the story over the past month and a half, I had two people inform me that something similar happened to a relative of theirs, and I've found articles about this phenom on the interwebs so it must be true. Last edited by Foolmewunz; 7th August 2014 at 06:03 AM. Those who believe in impossible things have a tendency to interpret unusual events as impossibilities. What believers don't get is that the faulty organ that is responsible for the misperception is the very same one that "knows" what it saw. You must not have read the other posts then. I'ld say cat or a bird. Sea gull most likely, they tend to scavenge in parking lots here in SC. I can see that but I wish I had the chance to go back and visit the place again to see if it repeats itself. It was a house that they hired out for events. No, I think it's worth pondering, the day you quit questioning things is the day you stop learning IMO. It might not seem worthwhile to you but I might have a steeper learning curve not being techy or up on physics than you have. Last edited by Jodie; 7th August 2014 at 08:57 AM. I haven't read ahead to see if anyone guessed. Did the package hit the keys just right and flip on top of the package? I am genuinely looking for answers. Oh, well that would have never occurred to me. Through the light fixture socket? Yeah, mice can squeeze themselves down pretty flat to get through crevices, but how did he get the partial through it? I am wondering what possible explanations you came up with for all these events before you posted them here. Unfortunately, you will probably never find them. Because of the fallibility of human perception and (especially) memory, it's impossible to know whether what you described is what you actually saw. And that's just the beginning of the difficulty. From there you have to consider all the possible mundane causes and, lacking the information needed to rule out any explanation, just pick one at random. I agree, offering explanations for unsupported anecdotes is a lot like chasing will-o-the-wisps thru the swamp. A bad connection on the wiper arm of the volume potentiometer or a bad resistor in the automatic volume control circuit. If it was a GM truck from the last decade or two it may also have a feature that adjusts volume according to what it perceives ambient noise to be, and though I don't know of malfuctions here, it seems a good candidate. Jodie, when I said it was a waste of time, I didn't mean to belittle your urge to understand what was really going on. In fact, I applaud your willingness to put some effort into it, and not just feed your natural human desire for certainty with glib appeals to supernatural nonsense. But after some of this futile "maybe this" and "possibly that", it might be worth your while to broaden your references. That's why I included the link to Carroll's video, and the thread it spawned, which in itself is a very illustrative sequence of posts. You don't need to be learned in physics to understand the gist of the video, and to enjoy and learn from the thread. But if you absorb the message from those things that "we" have sewn up the descriptive/mathematical assessment of the ranges of energies involved in daily (human) ranges (i.e. above the quantum smallness, and below the speed of light) then you can see that spending a lot of time in futile analysis of odd incidents is really a trivial pursuit. You could free yourself for more productive/interesting pursuits or studies or whatever creative use of your time you could thereby make available to yourself. The padlock is open, the chains have fallen from the gate: there's no need to hang around examining the hinges. Last edited by asydhouse; 8th August 2014 at 02:15 AM. Reason: correcting autocorrect selling! Doh! Spelling. I was at a loss. I am not mechanically inclined, high tech, or know much about physics. I think it depends on the way people learn. I start with the big picture and work back, so looking at the hinges does help if the big picture doesn't make any sense to me. I still can't figure out how my grandmother's partial got in the light fixture. I think I would have noticed a hole in the ceiling when I took the globe down to get the partial out, because otherwise, I can't see how a rodent would get it into the globe. My grandmother was pretty far gone with her dementia at that time but I would be really surprised if she was able to climb up on something, balance long enough to unscrew the glass, and plop her partial inside the globe. Last edited by Jodie; 8th August 2014 at 06:43 PM.